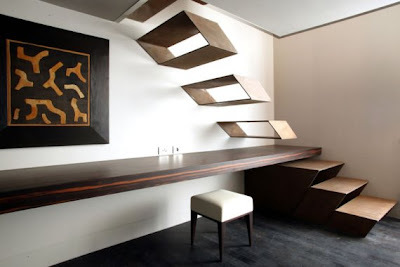 15 Awesome Staircases and Amazing Staircase Designs - Part 3. 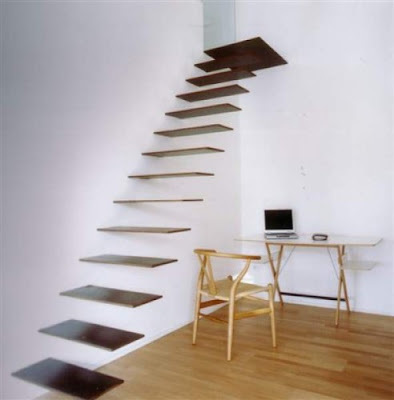 Collection of 'Awesome Staircases and Amazing Staircase Designs' from around the globe. Ribbon Staircase: Creative staircase design constructed from 10 mm thick metal sheet by HŠH architects. 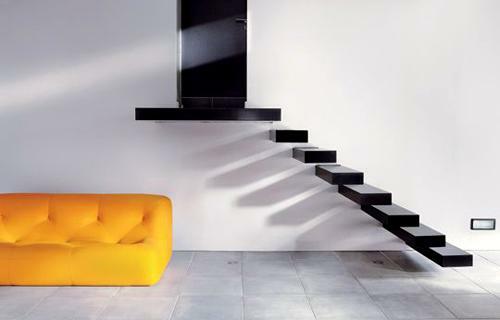 Floating Stairs: Cool "floating" stairs designed for 'The Gray Hotel in Milan, Italy'. Disappearing Stairs: This staircase folds up and disappears into the wall with a press of a button using hydraulic pistons. 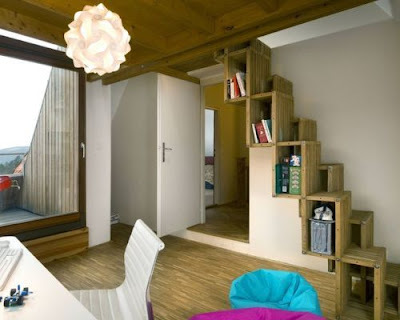 Clever Staircase Bookshelves: An intelligent alternating treadstaircase that doubles as bookshelves; created by three Czech designers. 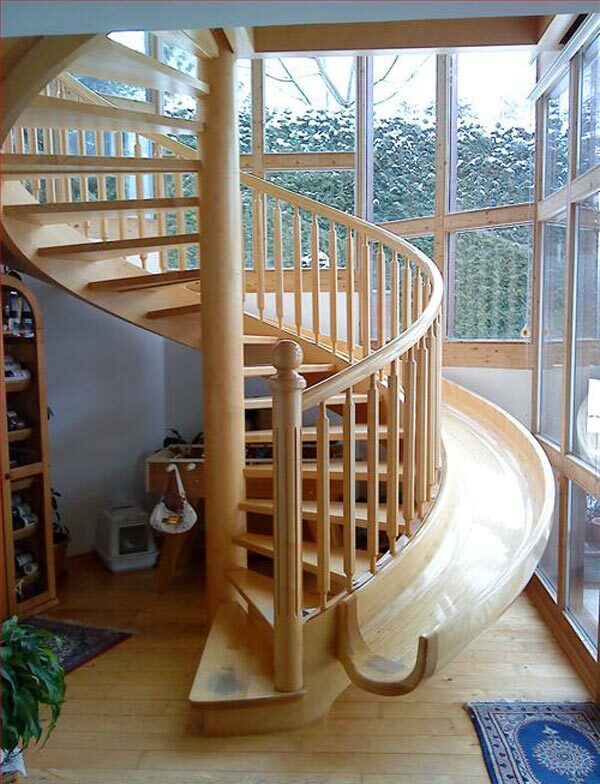 Spiral Staircase Slide: This cool spiral staircase design incorporates a slide for the kids. Modern Staircase: This airy staircase design comes from Italian manufacturer. 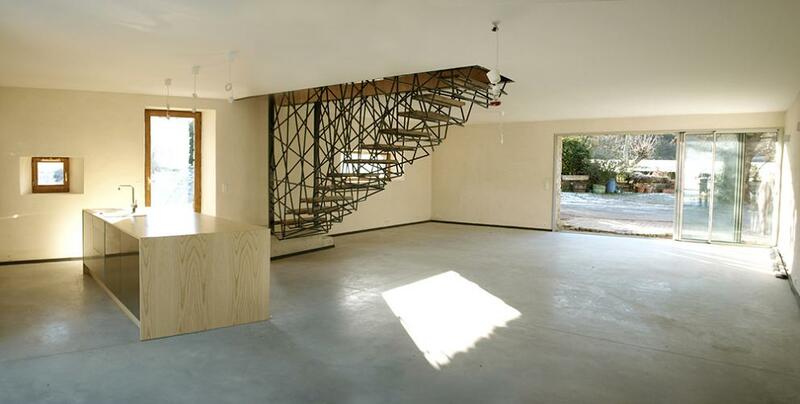 Ceiling Staircase: This creative staircase was designed for a residence in France. 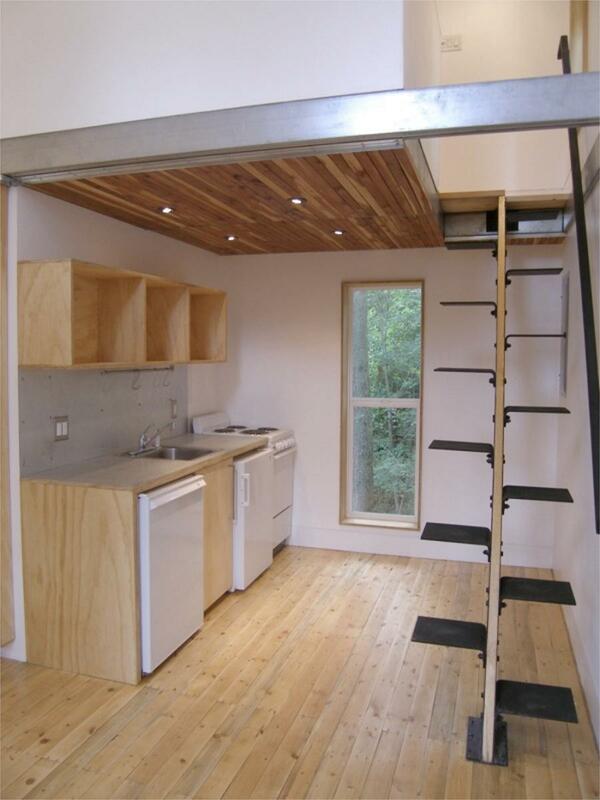 1m2 Stairs: An innovative efficient stairs designed for small spaces. 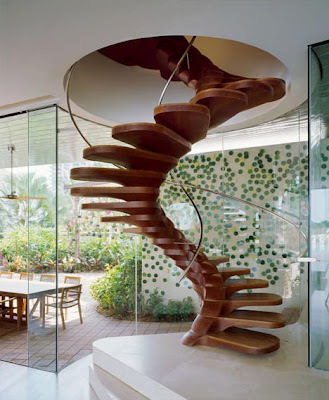 Spiral Staircase: Spiral staircase carved from wood. 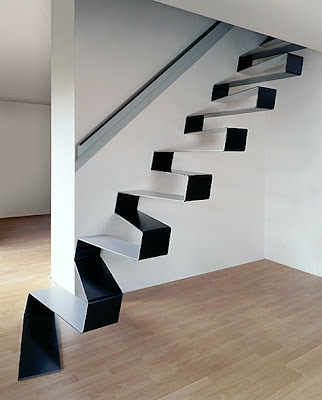 Staircase Slide: London architect Alex Michaelis installed a slide next to the staircase in his new home for his kids. 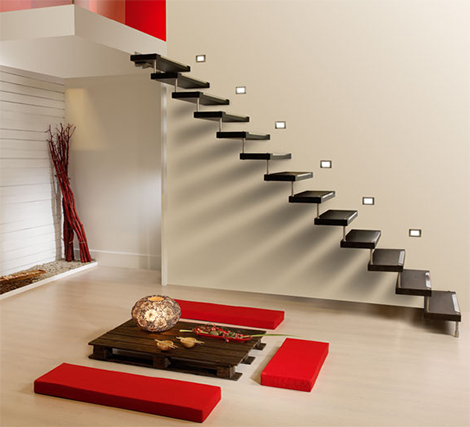 Layer Stairs: A style of stairs that is made up of sheet material forming layers. 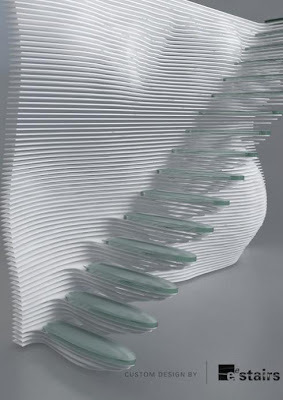 Samalot Staircase: Designer J Vayreda created these cool stairs. 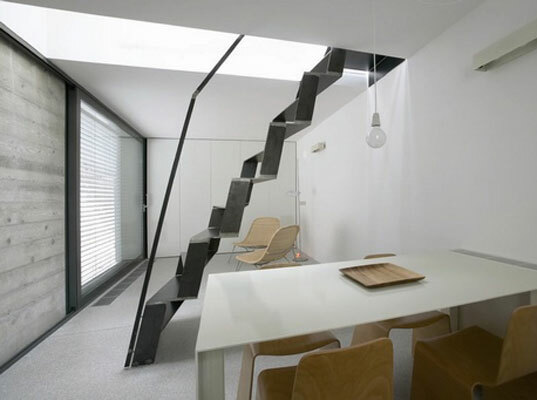 Staircase at XXS Home: Architect Dekleva Gregoric created this staircase for an eXtra-eXtra-Small home. 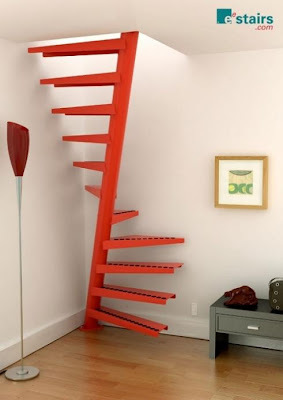 Don't miss to check out "Awesome Staircases and Amazing Staircase Designs - Part: 1| 2| 3." 14 Creative and Cool Truck Advertisements - Part 2. 15 Creative Tents and Cool Tent Designs - Part 2. 20 Cool Salt and Pepper Shakers - Part 4. 10 Cool and Useful Spaghetti Measuring Tools. 12 Cool and Creative Skateboard Sculptures. 20 Creative and Smart Kitchen gadgets - Part 10. 15 Creative Clocks and Unusual Clock Designs.